14 Inch Straight & Narrow Brass Squeeze Horn Click photo for larger image. Slick straight, narrow brass squeeze horn with a red bulb. 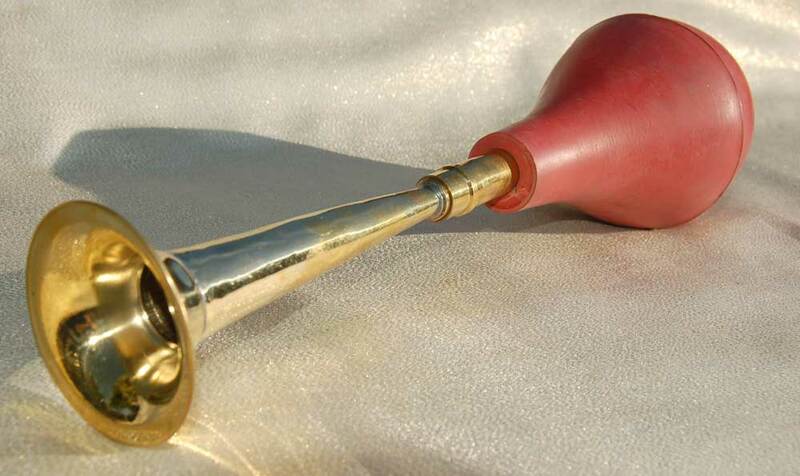 One 14″ straight brass squeeze horn, red bulb. $32. Free US Shipping. Includes 1 attaching bracket.